3. Set wp-angularjs-include to true in Custom Fields on post edit page. If you had a mind to use an anonymous web server, then I2P is worth a look. And offer a lot more besides, covering – anonymous web browsing, web hosting, chat, file sharing, e-mail, blogging and content syndication, newsgroups, as well as several other applications under development. Once installed on your PC for testing, you just have to files under ~/.i2p/eepsite/docroot/ (Linux) or %APPDATA%I2Peepsitedocroot (Windows) and they’ll be reachable by others once you follow the instructions below on the Help page (just click Help from the control panel, once you have installed and started up I2P). WordPress has a (largely undiscovered) set of plugins that are useful for WP developers and testers alike. The Debug Bar (which has around 20 related extension plugins), provides Firebug type features, at WordPress level. I omitted any plugins prior to 2010, as they are highly unlikely to work with the current version of WordPress. The Plugin Debug Objects provides a large number of information: query, cache, cron, constants, hooks, functions and many more. Analyzes WordPress website performance, helps to locate slow function hooks. Simple error debugging and logging functions. Provides a quick and easy method of adding all core widgets to a sidebar for testing purposes. This plugin provides an easy way to view *.log files directly in the admin panel. Some extras for tuning and diagnosing YARPP. Debug Bar Transients adds a new panel to Debug Bar that displays information about WordPress transients. Admin bar MySQL query and script execution timer output. Capture exceptions, uncaught errors, and custom events into your crashfeed.com dashboard. Display debug backtraces for every error generated by PHP. Display memory, page load time, average load time and query count in the footer of your site. Displays a list of actions fired for the current request. Requires the debug bar plugin. If WP_DEBUG=true, this plugin adds a visual style that prevents admins from forgetting that debugging is enabled. Simple, slim, handy. Adds the current page’s template name to the admin bar. Prevents plugins from showing deprecated errors in the WordPress admin. Adds a debug menu to the admin bar that shows query, cache, and other helpful debugging information. Prints backtrace of call to wp_redirect(). Modify WP_DEBUG and other wp-config.php constants directly in the WordPress admin rather than manually editing them! No more outdated post/page info when sharing on Facebook. Our plugin makes sure that Facebook’s cache always has the most up to date details. PHP Validator is a pseudo-compiler for PHP to help developers locate undefined functions and methods. Displays a list of each page’s SQL queries and the functions calling them that can be searched and sorted by time, type, etc. Deprecation Checker simply scans your plugins, themes, and custom directories for deprecated functions. Kint Debugger makes debugging and dumping variables a more pleasant experience. Kint Debugger integrates seamlessly with the Debug Bar plugin. Adds a template trace panel to the Debug Bar. Requires the Debug Bar plugin. Adds PHP profiling support to your WordPress using Facebook’s XHProf Profiler. WpDebugger lists multiple variables responsible for the execution of each page along with database queries. Displays and emails system information for debugging purposes for easy debugging of your own or a client/user site. Speed up your site ~ BIG Time! – If you care about the speed of your site, Quick Cache is a plugin that you absolutely MUST have installed. Extends the debug-bar plugin with additional tabs to measure runtimes between checkpoints and lookup variable content. A plugin that helps you locate and fix issuess with your WordPress installation. A plugin that makes it easy to log code activity to a file. Messages are displayed in both the source language and the target language. EASY TO USE! Dropdown console for wordperss enthusiasts to print and watch the value of PHP variables. Making sense of the rewrite mess. Display and play with your rewrite rules. This plugin incorporates the pear php_debug library into wordpress. Displays exactly how many MySQL queries are executed and how long it took to execute them. A rudimentary plugin for debugging cron. Allows users to edit the internal WordPress options without digging about the database. 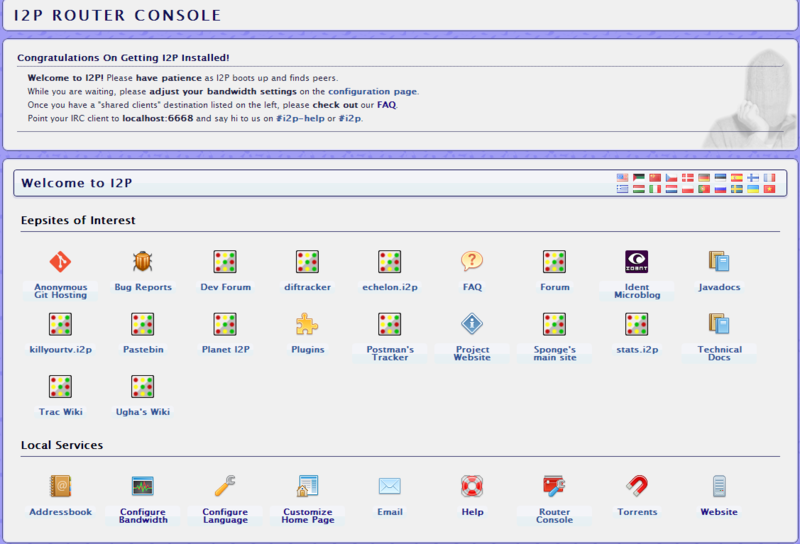 Provides logging and debugging data via e-mail and FirePHP. The plugin analyzes every query to the database. Warning: For PHP 5 only. Viruses, worms and malware exist for WordPress and could easily attack your WordPress installation. AntiVirus for WordPress monitors malicious injections and warns you of any possible attacks. With multilingual support. Takes the best WordPress security features and techniques and combines them in a single plugin thereby ensuring that as many security holes as possible are patched without having to worry about conflicting features or the possibility of missing anything on your site. With one-click activation for most features as well as advanced features for experienced users Better WP Security can help protect any site. PHP Validator is a developer tool. It scans the file you specify and determines whether you have undefined functions or methods. Debugging tool for theme authors and reviewers. This tool intercepts all debug information and prints it all out neatly into the footer. It also checks each page for W3C validation. This plugin is released as a tool to aid the development of themes and plugins for WordPress and can be used to aid debugging your theme before submission to the themes directory. Adds a debug menu to the admin bar that shows query, cache, and other helpful debugging information. Many extensions to increase features. Regenerate Thumbnails allows you to regenerate the thumbnails for your image attachments. This is very handy if you’ve changed any of your thumbnail dimensions (via Settings -> Media) after previously uploading images or have changed to a theme with different featured post image dimensions. You can either regenerate the thumbnails for all image uploads, individual image uploads, or specific multiple image uploads. This plugin logs the usage of deprecated files, functions, and function arguments. It identifies where the deprecated functionality is being used and offers the alternative if available. SimpleTest for WordPress is a tool for WordPress plugin developers who want to create and run automated tests for their plugins. It includes SimpleTest 1.0.1 and uses a shortcode to let you run unit tests on WordPress plugins, and see the results in a WordPress page. Since it runs within WordPress, you can also do integration testing of plugins (that is, custom WordPress functions used in the plugins will work correctly when the tests are run). Facilitates the use of Agile coding techniques in developing WordPress plugins. Sometimes it may be necessary to deactivate plugins, but you can’t access the administrative menus to do so. usually down to a flaky plugin that not only fails to work, but leaves garbage that causes wordpress to throw a hissy fit. To remove reference to a plugin, that you already know is the likely problem, simply remove the whole entry (terminated by a “;”). The blue highlighted text illustrates a complete plugin entry.